Hello Entrepreneurs, this article will discuss on the payment gateways in Nigeria. In Nigeria today, there are many card processing companies that let small businesses accept card payments in retail stores, on the Internet and even with a cell phone, but finding the right one for your company isn’t easy. This article will focus on our top payment gateways in Nigeria, it will also highlight it’s features, all products/services are listed in no particular order. Interswitch provides payment services to businesses and individuals who want to start accepting local and international card payments online. A web merchant can receive online payment from cardholders via Interswitch WebPay or Webpaydirect. 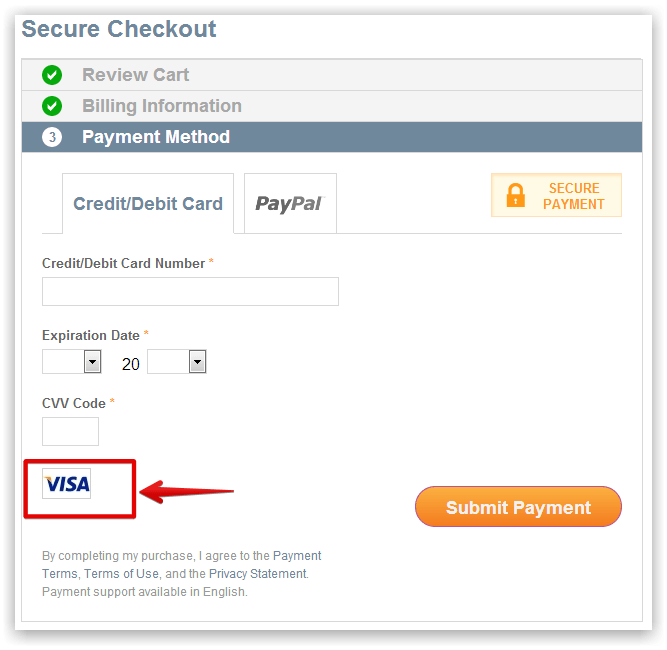 Interswitch WebPAY and Webpaydirect has a simple page for any website seeking to offer visitors the facility to pay for goods or services by their bank issued cards or other payment tokens, see a screenshot the interface below. The integration to Interswitch WebPAY and WebPAYDirect are similar irrespective of your development platform or cart, but the difference lies in the product themselves. Furthermore, WebPAYDirect product allows for a feature called “split” which lets the customer specify multiple banks to receive the money collected, they also provide customers with real-time reports while WebPAY allows for settlement to one bank and one account only. There is a one-time integration fee of N150,000. For every subsequent successful transaction, a fee of 1.5% of the value of the transaction subject to a cap of N2,000 is charged. (i.e. for transactions below N133,333, a fee of 1.5% applies), and N2,000 flat fee (for transactions above N133,333). Most noteworthy after you make payment and submit relevant documents to Interswitch, there are 3 integration options available to you. Self: Integration using your own website developer in addition you can review the integration overview to achieve this. Note that you can also use the demo merchant details provided here to start testing your code and integration immediately. Anatech: We can integrate it on your behalf. Open Source Plugins: Plugins can be used for the various content management systems such as Vamcard, Joomla, Magento, Prestashop, OsCommerce, WordPress, WooCommerce and Opencart for WebPAY. 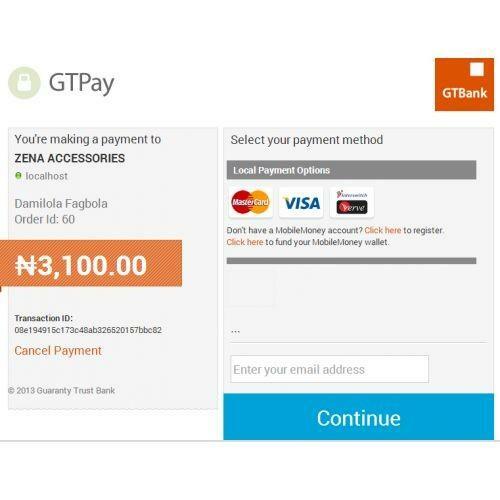 GTPay is a product of GTBank, first of all it is a secure internet payment gateway developed to help small business accept card payments online using debit Cards issued by banks on the Interswitch Network. GTPay plugs in seamlessly with the existing websites of customers and acts as a bridge between the customer’s website and financial institutions (Banks). Also the payment solution provides a convenient alternative payment channel to all customers.Ensures transaction amount is deducted from cards instantly and merchant’s account credited within 24 hours. N75,000 (Seventy Five Thousand Naira). MasterCard/Visa (local) – TRANSACTION FEE: 1.5% of transaction amount (subject to a maximum of N2,000). 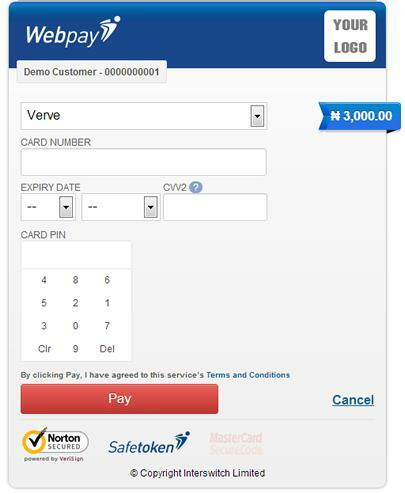 Interswitch Verve (local) – TRANSACTION FEE: 1.5% of transaction amount (subject to a maximum of N2,000). MasterCard/Visa (International) – TRANSACTION FEE: 3% of transaction amount; no cap. International Gateway Monthly Charge – N5,000. VoguePay is a unique online payment gateway whose vision is to offer buyers and sellers a secure and easy-to-use means of transacting business online also VoguePay allows site owners to start accepting card payments online for their goods and services on their website without any setup fee. 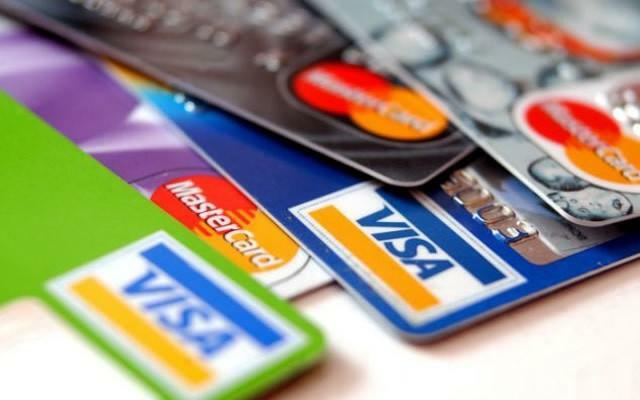 Furthermore the Gateway can process local and international Visa, Mastercard and Verve card. The setup process is faster as customers doesn’t have to go thru the Interswitch Certification process. N1500 (with Corporate Affairs Commission Certificate) and N2500 (with Government issued Identity cards). SimplePay allows any business or consumer with an e-mail address and a bank account to securely, conveniently and cost-effectively send and receive payments online or through their mobile phone. Also SimplePay for merchants is ideally suited for small businesses, online merchants, individuals, and others currently undeserved by traditional payment systems. 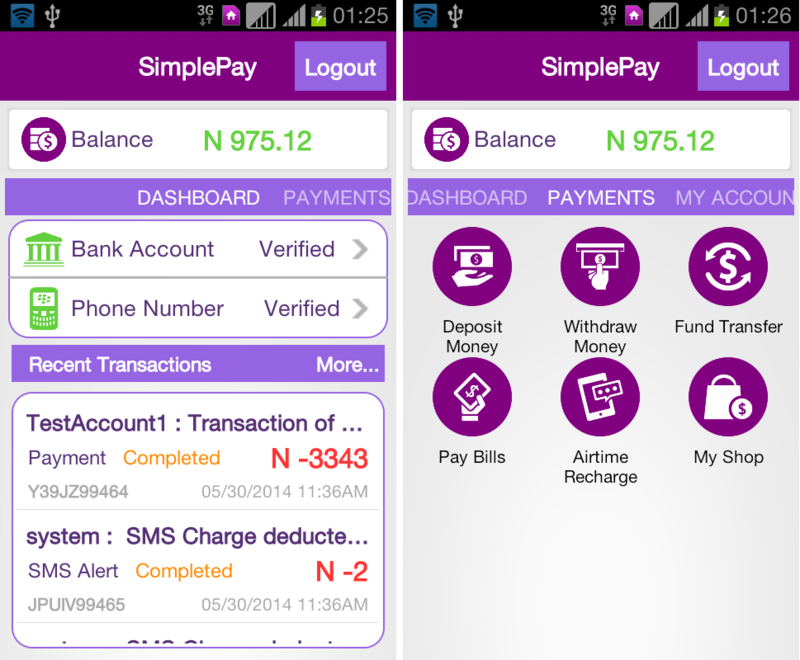 Withdraw Funds – Transfer money to your linked bank account – N300.00 per transaction. Receive Money – 1.00% plus N10.00 per transaction. 2Checkout is an America based company, first of all it allows Nigerian and other International Merchants to receive payments from customers using their Visa, MasterCard, Discover, American Express, Diners Club, JCB, PIN debit cards and PayPal. MasterCard/Visa (local) – TRANSACTION FEE: 5.5% + 45¢ successful transaction. Interswitch Verve (local) – TRANSACTION FEE: 5.5% + 45¢ successful transaction. MasterCard/Visa (International) – TRANSACTION FEE: 5.5% + 45¢ successful transaction. CashEnvoy is the only Nigerian Payment Aggregator/Processor on Shopify. Also the company has multiple security features on their gateway for theft. Furthermore Cashenvoy doesn’t charge for online different variants of cards – merchants can accept local and international – VISA, MASTERCARD, eTranzact and Interswitch cards. The company simplifies the setup process – by just receiving basic details and forms. Send Money: To Business Account only – Free. Make Payments: To Business Account only – Free. ₦100 fee is waived for transactions less than ₦2500. With you can accept Debit/Credit payments from customers in 154+ countries. Visa, Mastercard, verve, all supported, your customers in the United States of America, South Africa and Nigeria can pay you directly from their bank accounts and your customers in Nigeria (M-Cash), Kenya (M-Pesa) and Ghana (soon) can pay you directly from their mobile wallets. There are still other payment gateways in Nigeria available however we have the complied this list based on functionality and affordability, are you using a better payment gateway? Finally, Let us know your experience by commenting below. Try VoguePay. You’ll love the experience. Starting from signing up, you can easily verify your account using your ID card and utility bills. You also enjoy the privilege of receiving payment from international merchants. Thank you for this post and giving me options. I believe this is an old post, PayStack is something not to miss when speaking of payment systems in Nigeria. They are good and seems to be taking over the market. Try SaanaPay.ng, very fair rates and great customer service. Their customer service line is 08022228959.
do you know any payment gateway that supports 2D secure for processing international payment in Nigeria? ?